Dysgraphia is a type of learning disability affecting the ability to recognize forms in letters, to write letters and words on paper, and to understand the relationship between sounds, spoken words, and written letters. In the language of federal special education regulations, dysgraphia is considered a subtype of learning disability in basic or expressive writing. People with dysgraphia have substantial difficulty with written language despite having formal instruction. Their handwriting may include reversals, spelling errors, and may be illegible. 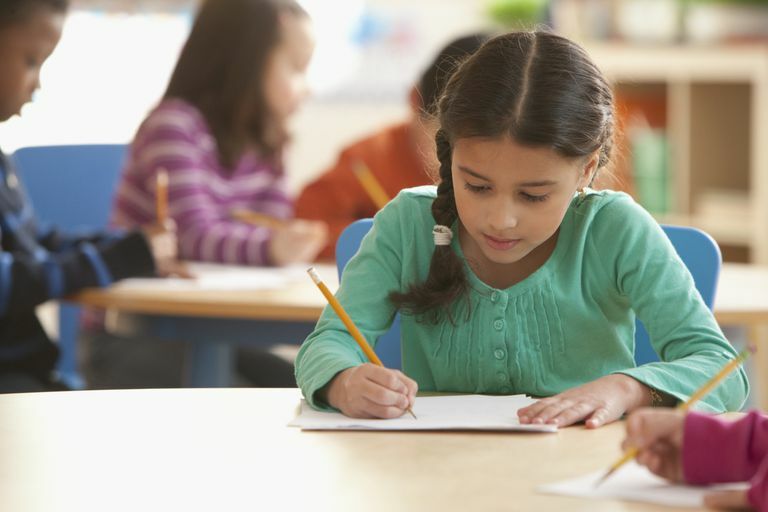 Some students with dysgraphia may also have difficulty with language processing and the connection between words and ideas they represent. It is most often recognized in children when they first are introduced to writing. It can develop in adults after trauma or stroke. People with dysgraphia have much more difficulty with writing than others, but their abilities in other areas may be average or better. They are at-risk for being seen as lazy and careless with their work because of the frustration and fatigue they experience when putting forth the effort it takes for them to complete seemingly easy tasks. Educators must provide positive learning experiences for them to help maintain their self-esteem and motivation. Dysgraphia is believed to involve difficulty with fine motor skills such as motor memory, muscle coordination, and movement in writing. Language, visual, perceptual, and motor centers of the brain are also believed to play a role. Evidence suggests it may be hereditary. People who have suffered brain injuries or strokes may also show signs of dysgraphia. Comprehensive psychological and educational evaluations can assist in the diagnosis of dysgraphia. Diagnostic writing tests can be used to determine if the learner's writing skills are normal for his age. They can also provide information on his writing processing. Through observations, analyzing student work, cognitive assessment, and occupational therapy evaluations, educators can develop comprehensive individualized treatment plans. Educators use a variety of methods to develop the student's individual education program (IEP). Typical programs focus on developing fine motor skills such as pencil grip, hand coordination, and developing motor-muscular memory. Language therapy and occupational therapy help the learner develop the important connections between letters, sounds, and words. Some students work best with keyboarding or speech recognition programs. If you believe you or your child has dysgraphia and may be learning disabled, contact your school principal or counselor for information on how to request an assessment. For students in college and vocational programs, their school's advising office can assist with finding resources to help ensure their success. Your child's school may not use the term dysgraphia, but it can still evaluate your child appropriately. Typically, public schools use the labels and language from federal IDEA regulations. Dysgraphia is a diagnostic term found in psychiatric diagnostic systems. Schools consider it one of the several types of math disorders they can serve under the label of learning disability. Dysgraphia Information Page. National Institute of Neurological Disorders and Stroke. https://www.ninds.nih.gov/Disorders/All-Disorders/Dysgraphia-Information-Page.